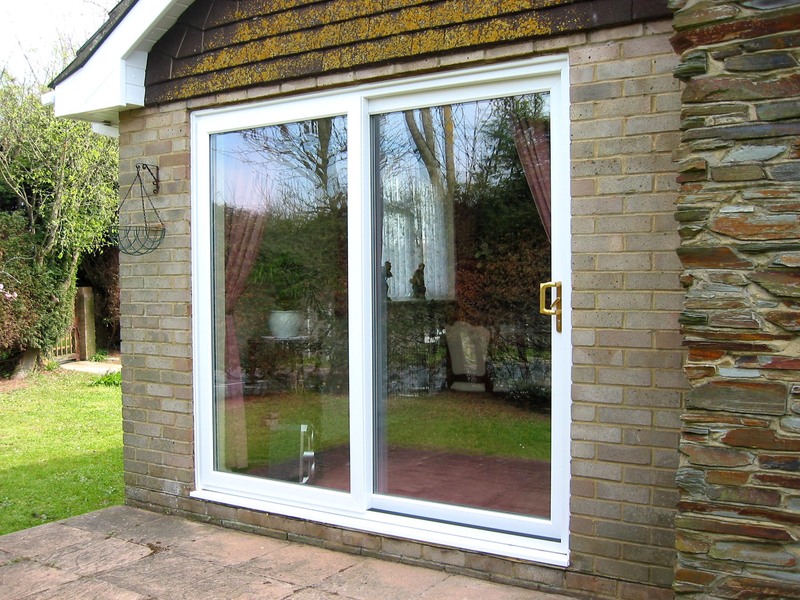 South Coast Windows provide double glazed windows in Sussex along with doors, conservatories, and rooflining products throughout East Grinstead. All the products we supply our customers with are extremely high-quality but also affordable for those with more restricted budgets. If you’ve been looking for a home improvement company that offers you everything you need for your project, you’ve come to the right place. We have everything you need to make your house into a home. We are South Coast Windows, one of the best home improvement companies in the UK. We understand that home improvements can be expensive and that’s why we’ve worked hard to provide high-quality products at affordable prices. Here at South Coast Windows we are proud to say we’ve spent over 40 years in the home improvement industries and a prior 20 years to that in building and construction. We have built our positive reputation by working hard for our customers in East Grinstead and providing services that are reliable and extremely high-quality. Here at South Coast Windows, we provide numerous high-quality services throughout East Grinstead and we are proud to provide everything you need to complete your home improvements. 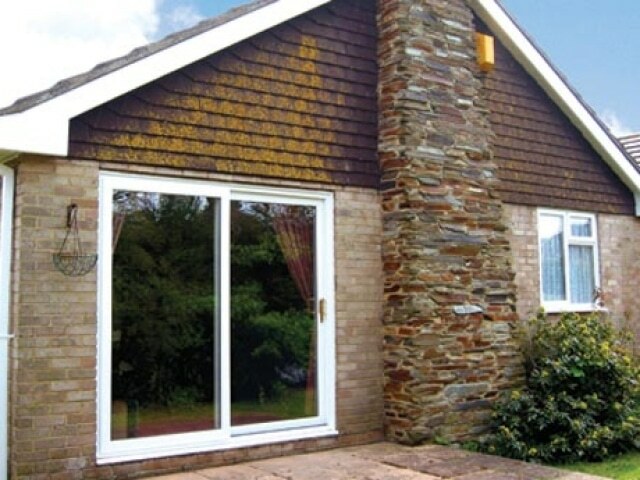 Double glazing is a must for any homeowner and will certainly keep your home look good all year round. If you’ve been looking for windows that are durable, secure, easy to maintain, and energy-efficient, then you have come to the right place. Here at South Coast Windows, we provide our customers in East Grinstead with a variety of window styles to choose from and they are all double-glazed for your comfort and security. Discover our range of windows below. 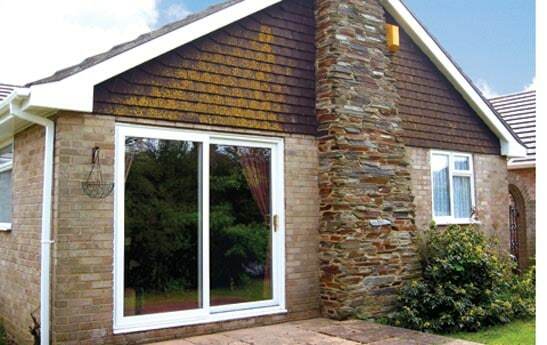 One of the most cost-effective window materials is UPVC. UPVC windows are an extremely affordable solution for customers in East Grinstead and those on a limited budget. And despite being cheaper than timber alternatives, they do not mean you compromise on the benefits. UPVC are easy to maintain, are just as aesthetically-pleasing as timber alternatives, and they are energy-efficient, secure, and functional. One of the most popular window choices for homeowners in East Grinstead, our sliding sash windows are an excellent choice for your home. They are easy to use and maintain, and they also give you comfort in their security, energy-efficiency, and pleasing aesthetics. Tilt and turn windows are a great way to ensure your windows stay clean all year round without the hassle of hiring a window cleaning company! What could be better than that? Here at South Coast Windows we provide stunning tilt and turn windows that provide wider openings, functionality, and easy manoeuvrability. If you’d like to know more about our tilt and turn windows and what we offer, give us a call today. Our casement windows are a wonderfully popular choice for customers in East Grinstead. If you’ve always wanted a beautiful focal point in your home, have you ever considered having casement windows installed in your home? Our casement windows are all available double-glazed, easy to maintain, secure, safe, and high-quality. If you’ve been looking for some beautiful casement windows, the ones we sell and install at South Coast Windows could be just what you’ve been looking for. If you’ve been thinking about having a conservatory installed on your property, why not find out more about the conservatories we offer at South Coast Windows? Conservatories are a popular choice for customers in East Grinstead because they allow customers the opportunity to enjoy the sunshine, warm weather, and increased natural light from the comfort of their own home’s. If you’d like to have a conservatory added to your property, check out the range of conservatories we sell and install below. The Edwardian conservatories we sell and install in East Grinstead are all fully glazed to the ground and built on low brick walls that offer than next level of home security. The Edwardian conservatories we sell and install are a great way to increase the available space in your home and they are one of the most traditional and popular conservatories we sell. As the name of this conservatory suggests, the gable end conservatory is fitted onto the gable end of a property. Not only does this add more space, but it can increase the value of your property! If you would like to know more about the gable end conservatories we sell and install here at South Coast Home Improvements, give us a call today to discuss your requirements. 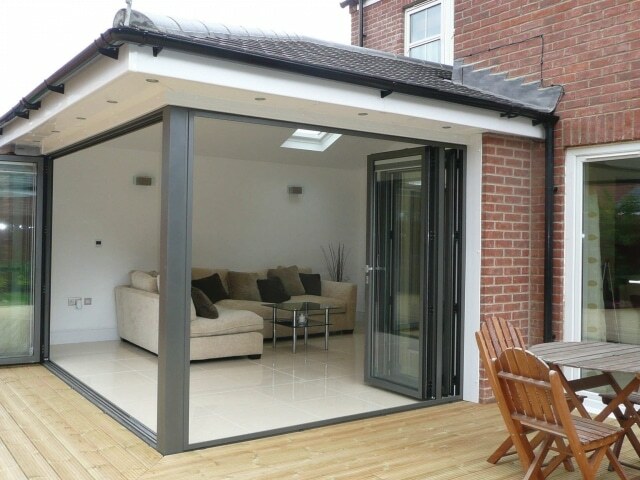 One of the most affordable conservatory options, the lean-to conservatory is an extremely popular choice for many people. 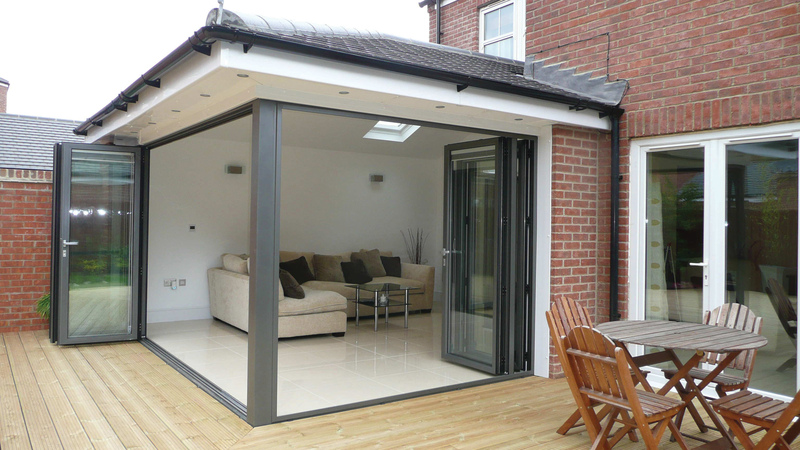 Easily fitted onto your property, the lean-to conservatory is a popular choice for customers in East Grinstead. Orangeries are one of the most popular conservatory choices in East Grinstead and are a style that wouldn’t go amiss in a period drama. 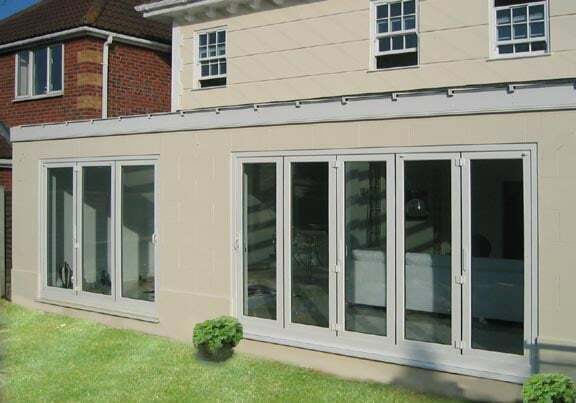 All the orangeries we sell and install at South Coast Windows are double-glazed and are extremely high-quality so that they will last a long time. 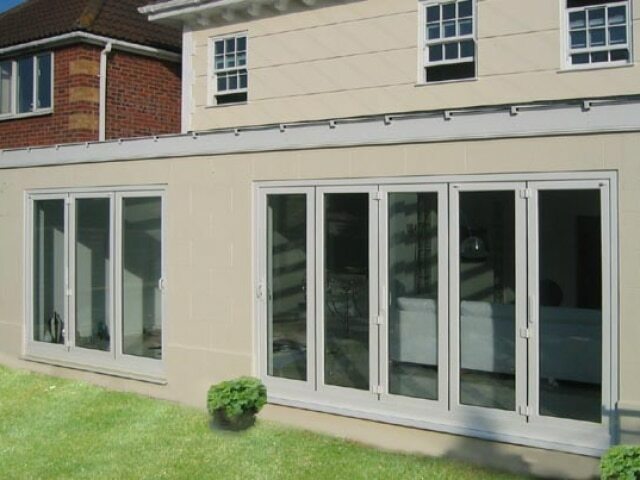 If you would like to know more about the orangeries we sell and install in East Grinstead, give us a call today. The t-shaped conservatory is a popular choice and, as the name suggests, are built in the shape of a ‘t’. Having a t-shaped conservatory added onto your property is a great way to add more space to your home and allow you an area where you can enjoy the weather all year round. Our p-shaped conservatories are a great way to enjoy extra space and are an alternative to the t-shaped conservatories that may not be the right shape for your home. Thanks to the technological advancements we’ve made at South Coast Windows, all our p-shaped conservatories are energy-efficient, aesthetically-pleasing, and secure. The Victorian conservatories are one of the most popular conservatory styles we sell and install at South Coast Windows. Thanks to our professional team of expert conservatory fitters our Victorian conservatories can be fitted to low-roofed homes and bungalows. If you would like more information, please give us a call today. Here at South Coast Windows, we provide our customers in East Grinstead with a variety of doors to choose from. Whatever door style you are looking for, we provide a huge variety of high-quality of doors for our customers in East Grinstead. Whatever style you are looking for, here at South Coast Home Improvements, we can help! Here at South Coast Windows we like to provide products across a broad spectrum of price ranges, so that even those on a limited budget can create the home they’ve always wanted. That’s where our panel doors come in. Our panel doors are an affordable option for many and, despite being cheaper than full timber or glazed alternatives, they do not scrimp on quality. Our panel doors are of an extremely high quality and can be made specially to suit your needs. What’s more, they offer all the security, low maintenance, and durability you and your home need. 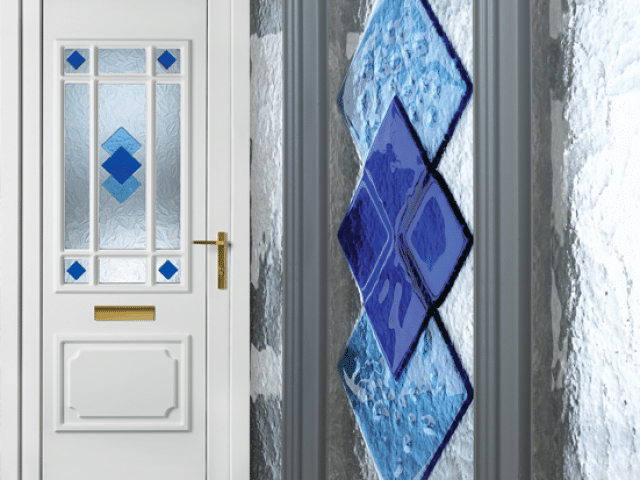 Our composite doors are one of the most popular products we sell because they offer customers the chance to stand out from others on their street. If you’re someone who enjoys the luxury of vibrant colours and you like to make a bold statement with your décor, why not browse our selection of composite doors? There are plenty of options to choose from that add a pop of colour to your day. If you’ve been trying to make you home lighter and brighter but without much success, why not install glazed doors? 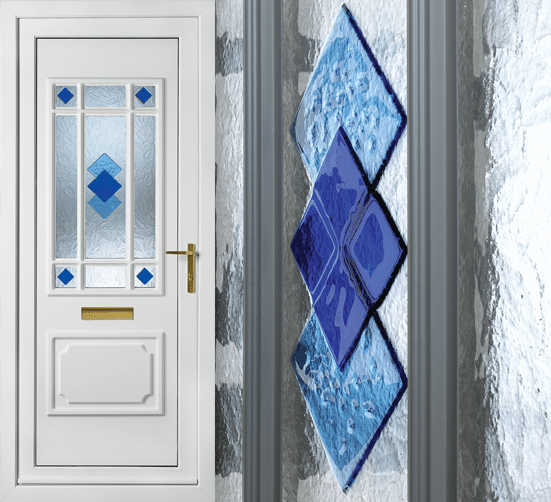 All the glazed doors we sell are double-glazed, secure, and aesthetically pleasing. But not only do they provide those benefits, they also let more natural light into your home. Having patio doors that lead from your home into the garden are a wonderful addition as they allow for easy access to the outdoors, fluidity for guests moving around your home during parties, and plenty of natural light. 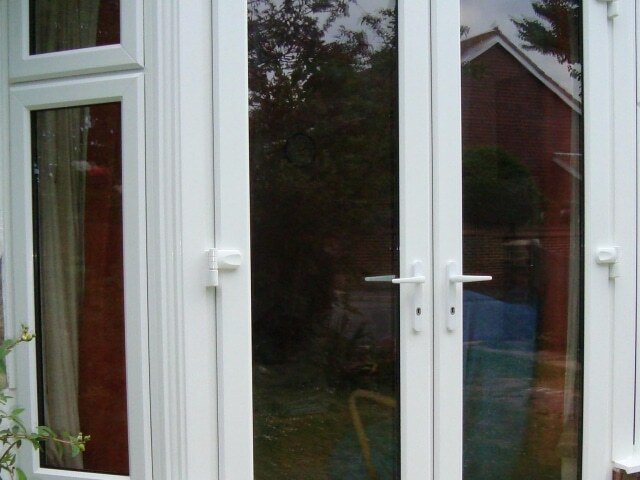 All the patio doors we sell at South Coast Home Improvements are double-glazed and full secure for your peace of mind. If you want to add a little culture to your home, why not consider installing French doors? 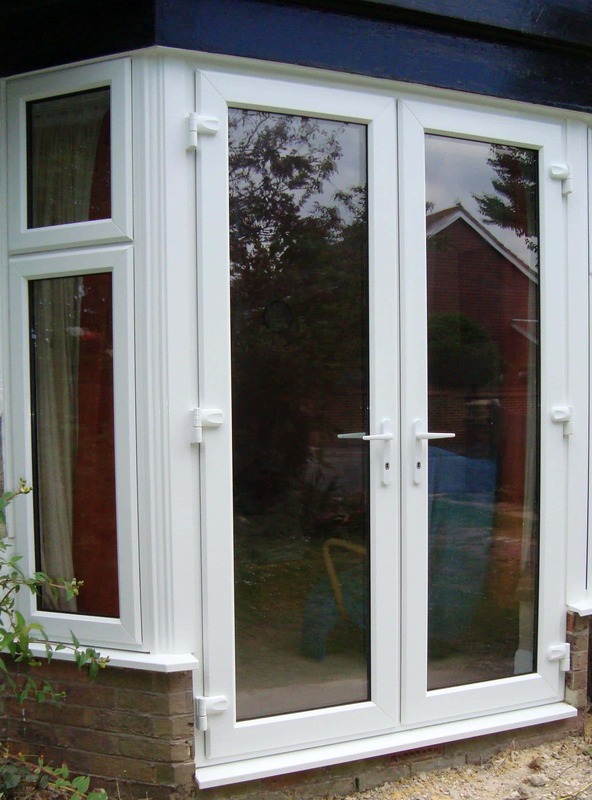 Our French doors are a beautiful choice and can be made to fit the existing décor of your home. If you’ve been wanting something with a little style to add to your property, have a browse through our selection of French doors and we’re sure you’ll find something that suits you! The most sought-after door style currently in the UK; the bifold door is an excellent choice for any home. Bifold doors function well, offer security, provide energy-efficiency, and allow for a seamless transition between the home and garden. What’s more, they save a significant amount of space! And those are just some of the benefits. If you’ve never heard of bifold doors before, you need to browse through our collection as this style of door has the potential to really change the way your property looks, feel, and functions. Rooflining products are a must for all homeowners as they keep your home weather-resistant and secure. However, many homes are currently struggling with expensive rooflining repairs as their roofs have been covered in timber linings which, over time, have warped, rotted, or broken completely. While this can be expensive to repair, it can also cause a lot of damage to your home. That’s why at South Coast Windows, we were passionate about providing a more long-lasting alternative. So, we started providing rooflining products made out of PVCu material. Not only is this material durable, long-lasting, and weather-resistant, it also looks great and it will definitely stand the test of time! If you would like to know more about rooflinings and the products we provide for our customers, please do not hesitate to give us a call today. Here at South Coast Windows we have a team of fully-trained experts available to help you with your home improvement project. Equipped with all the necessary skills, expertise, and knowledge needed to provide you with the best service possible, our home improvement experts will be with you every step of the way.